Those were the number of people he had touched during the day, at school and in public transports before making his way here. Old and young people, boys and girls. With his eyes focusing on one specific feed, he looked at others, random people going through their daily jobs and lives. A new icon had appeared beneath each video feed. Clicking on Maggie’s feed, he observed her in the church’s basement, standing near the sofa. “Ready, Maggie?” he said, after activating the communication option. “I’m magic.” Mathias made a mental note to test if others could listen to this communication method. Confrontational. Perhaps too confrontational. With the Grant Spell power, Mathias could technically empower a cell of rebels, but he needed disciplined fighters, not people with anger management issues. Then again, Maggie had co-founded a music band and worked well with its members. “You’ll get used to it,” he said, both to Maggie and himself. Clicking on Grant Spell next, Mathias found a very short list of options show up on his account. Only two spells appeared: Premium Thoughts and Blue World. Glass Field was missing. Limit number one: he couldn’t grant access to Hacks. “I cast Premium Thoughts on you. It increases your mental abilities tenfold.” Mathias himself felt no change in his brain process, remaining as supernaturally sharp as ever. Giving a spell didn’t reduce the effectiveness of his own. Mathias sighed, laying in the grass of his favorite ghost town. He had retreated there to practice his magic in peace, taking only his backpack, laptop and smartphone with him. Viviane had taken the day off, and didn’t answer on her phone. Not hard to see why; with her children in custody, she must be arguing with the authorities for their release. His attempts at calling Ulysses, Perse, and Sam had ended in failure as well, their phones probably confiscated. It gave him a horrible sense of déjà vu. Him moving far from civilization was partly out of discretion, partly to prevent himself from attacking the nearest Gearsmen station to release his friends. Thankfully, Gavin had granted him a day off, considering the situation. Don’t think about it, Matt, he told himself. Think constructively. Grant Spell had tremendous potential, but the inability to grant Hacks and his own sub-standard repertoire limited its effectiveness. Also, him needing to renew Network for the empowered person to keep their abilities meant he could at best manage a local cell. Clicking on another feed next, Sol’s — finding the priest dusting the church’s stained glass — Mathias checked the Grant Spell options, and found Premium Thoughts among them. Point for him, he could offload the same spell more than once. Food for thought, build an army of mad scientists, Mathias mused. With nine Spellcoins currently in his account, Mathias had enough funds to invest in at least two other magical powers. What should he do with them? Buy a spell that could boost his existing capabilities, or cover his weaknesses? Or buy a spell that he could offload to his allies, increasing their effectiveness? He could also try to fuse two spells. Premium Thoughts was a valuable asset, but Blue World couldn’t affect targets like the fire demon. He could try combining Blue World with a new option, creating a stronger power. After all, Glass Field clearly surpassed both its components individually. What could he combine Blue World with? Glass Field combined two opposite colors into a potent synergy. Perhaps combining it with an allied color could provide greater results? Okay, he had to take the risks, costs, and advantages into account. He couldn’t check what a Hack did without combining the components first. Glass Field itself was pretty far from what Intuimotion and Dirt Call could achieve separately. The lack of foreknowledge meant he could end up with an ability unsuited to his needs, expecting the spell fusion to produce a different result. He had to think like Shroud. What would help him most in his missions? What would support his Glass Field and provide firepower? Mathias’ eyes wandered around the ghost town, towards the hidden holo-projectors. Light and glass could mesh well together. His control over glass allowed him to hear through, and in theory, produce sound by shifting the molecules; if he could alter light, he could potentially project holograms through them. Or lasers. He found the idea of a death beam strangely appealing. Checking his Magik account, Shroud found the spell he was looking for. The user gains the ability to psychically direct light within sight, creating artificial darkness, or blinding flashes. The user cannot create light and is limited to using existing sources. He expended five Spellcoins to purchase it, and cast it immediately. Like when he activated Glass Field for the first time, his perspective slightly changed, as a crimson flash spread through his vision. When it dissipated, the young man began to notice small points of light floating around him, swirling pixels covering the entire landscape. Photons. Quasar didn’t fuse with any of his spells. There was no crack that interrupted his thoughts like Intuimotion and Dirt Call had beforehand. He wondered if he had to activate two spells at the same time under specific conditions to force a fusion. Or perhaps a combined spell like Glass Field couldn’t fuse further? No matter. Quasar would have to do. Perhaps it could mesh with his other spells without needing a Hack. Closing his eyes and activating his Glass Field, Mathias linked himself to the optical glasses of the holo-projectors around him. He noticed no difference between watching through them and through his own eyes, the particles floating around the atmosphere. With a thought, Mathias gathered some of those particles into a humanoid shape, a virtual projection of himself. Bingo! His glass shards counted as sight expansion for the spell’s purpose! With another thought, he covered a tree in a layer of particles, deflecting the light around it and turning it invisible. Trying his hand at another experiment, he emptied a spot of light, trapping a projector in a deep, impregnable darkness. The stolen light he gathered into a sphere, a miniature star, which he guided through the clearing like a will’o wisp. Mathias thought back to his long experiences with holograms, designing illusions for players to lose themselves to fantasy. How odd that he would use that knowledge for battle. “You still there?” Maggie said, wondering why she hadn’t received any answer. Mathias granted her wish, clicking on Quasar. A red glow filled the feed, and he watched in silence as Maggie’s visual information changed to fit his own, newly enhanced photon vision. Maggie began to wave her hand around, draining light from the room and gathering it into a light ball. “Now we’re talking,” she said. An underage girl trapped in a catholic priest’s basement. “Are you coaching me on how to lie?” she replied, amused. Mathias noted the place, scheduling a visit for tomorrow. Leaving Maggie to her lightshow, Mathias checked the other feeds. The absent ones disturbed him. The Werners are okay, he told himself. His inability to check on them killed him a little inside every time he thought of them. His father’s feed had vanished as well. Truth to be told, Mathias hadn’t only come to this place to work in peace. A part of him dreaded the confrontation with his dad, and attempted to delay it as much as possible. Mathias sat in the grass and opened his laptop. He had found the supplier, now he had to secure the funds. Fortunately, he had done much of the groundwork already. Opening a page of complex computer codes, he put himself to work, Premium Thoughts working at full brainpower. After what must have been a few hours, Mathias contemplated his work with both dread and wonder. His first, fully sentient artificial intelligence, ready to awaken, its programs hosted on the Dynamis servers. Its one goal? Making money. Its name? Like Scrooge McDuck. RobinHood.exe had already been patented by another hacker. Scrooge could think by itself, adapt, evolve, and more importantly, pass moral judgment. Mathias had granted his creation a few core values to filter decisions: total devotion to Mathias himself, a list of key VIPs to distribute the funds to in case of his demise, and a mission statement to defraud Concordian sympathizers dry. Scrooge had no way of going Skynet or Blade Runner on him and couldn’t alter its own parameters directly or indirectly. Finally, the killer feature, it would continue working should he die, annoying Concordia and ensuring his loved ones’ financial comfort. The best postmortem joke. His screen expanded, revealing the countless lines of codes he had painstakingly typed into his creation. Scrooge’s mind awakened, the lines shifting as it gained awareness. It spread through the servers, absorbing the data, the records, the videos, and the files. It cannibalized the memory banks, fed on the cultural trivia gathered by countless people on the internet. It absorbed concepts, ideas, and as it grew its hunger only expanded. Mathias looked as his baby took its first steps, hacking into Dynamis’ accounts. It sensibly ignored the ones belonging to Mathias and his VIP list — which so far included only his dad, Sol, Viviane, Ulysses, Kari, and Perse. Mathias quickly understood why. Scrooge intended to generate untraceable funds by altering the financial transactions of Dynamis’ games, skimming off a little amount from those involving Concordia sympathizers. A pop-up showed up on his screen, indicating a climbing number that quickly broke past the ten thousand mark — Mathias cash reserve. Since Dynamis’ economy produced almost a billion credits in revenue per month, Scrooge could credibly amass much money from this system. Apparently, lots of Concordian soldiers played Dynamis games. Well, if stealing their artifact wouldn’t put him on Concordia’s shitlist, creating an AI tailored to steal from them would. At best he would get fired from Dynamis. It did make him uncomfortable. Dynamis had given him his job and lots of opportunities, and he had designed games from the players Scrooge was stealing from. The AI soon hooked itself to other websites, from gambling dens to commerce sites of companies affiliated with Concordia. While Scrooge was busy being mean, Mathias added a command for specific items designs for Dynamis’ 3D printers. He needed a costume, and a voice changer to prevent another unwelcome outing. Putting the laptop in his backpack, Mathias turned most glass available into an armor covering most of his body and clothes, drawing from the local holo-casters, intending to put them back later. By will alone, he lifted the glass layer off the ground, carrying his body with it. His previous feat of flight had been done in desperation, and in suboptimal conditions. Mathias wanted to test how far he could go with this new application of his powers. Security first, however. Using Quasar, Mathias blanketed himself in a layer of light, shifting the colors around himself and turning wholly transparent. While radars might pick him up, invisibility would reduce his chances of attracting undue attention. Floating above the swamp, Mathias ascended towards the clouds like an arrow fired at the sun. He felt the wind brush against his glass shield, like a second skin. Through his armor, he saw the swamp below grow larger, a green expanse that kept going before stopping at Evermarsh’s industrialized suburbs. As he ascended further upward, Mathias watched Evermarsh grow smaller. Farther away, he began to see the ocean, and the mechanical, pyramid shape of the Arc-City rising from the waves. The artificial city was less than half of Evermarsh’s size, but made it up in compactness and style, a dense structure of hardened black steel. One day, Evermarsh’s population would forcefully move there, the old city destroyed to make room for more factories. 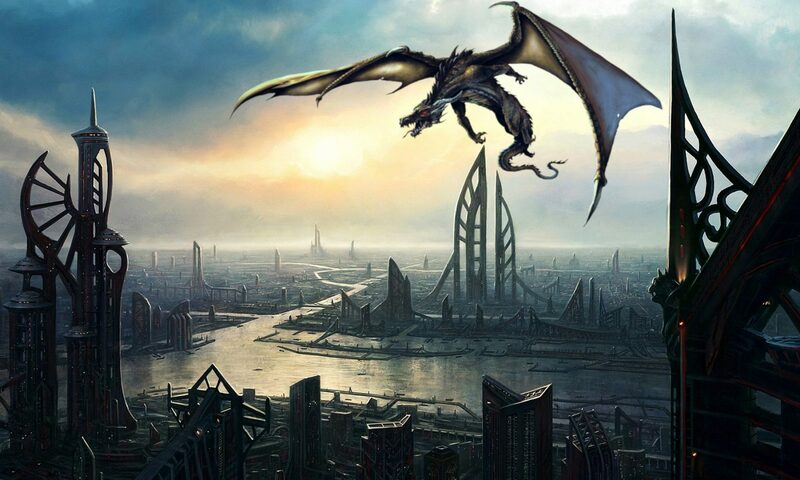 The Arc-City, too, became small, and Mathias’ senses focused back on the skies darkening above. The experience was exhilarating, like the first time he had boarded a plane in his childhood. That sense of wonders, of speed, of reaching an unexplored frontier… he could get drunk on that feeling. The glass strained to keep itself bound, held together only by his willpower. “Supersonic speed… supersonic speed…” he hummed to the wind. Catchy tune. Not that he reached anything near that fast. By calculating the rough distance between his starting area and the city’s outskirts, he estimated his maximum speed at roughly, give it or take, two hundred miles per hour. Faster than any normal bird, slightly slower than outdated mainliner planes, and far, far slower than most projectiles. Mathias wouldn’t outspeed a bullet anytime soon. As for Gearsmen? Their flying speed wasn’t on record, but they were definitively supersonic at full power. They would outspeed him. As he began to catch his breath, probably due to the air thinning, Mathias stopped in his tracks and called it a day. He could survey the whole region from his vantage point, with the digital park nothing more than a spot. Far away to the South, rising from the Caribbean, a massive, red spire stood alone near the horizon. It pierced the clouds, reaching up to the darkness of space and beyond Mathias’ sight. The tower radiated a strong, crimson halo, as if churning magma. Large clouds of steam obscured the line where the sea met its metal shell. The structures had risen from the ground during the Conquest, and remained a mystery years after their discovery. Had Concordia brought it and its sisters to Earth, or had they risen on their own? Mathias knew them to be the source of the Flux energy harvested on this planet, and little else. He knew of six others located around the world, from the North Pole to Mount Olympus, with Concordia shooting anyone approaching them on sight. The sorcerer shook his head, deciding to focus on the hunt for the artifact. Where could Concordia hide it? Mathias remembered the day that started it all. An imperial warship had surveyed the area; what if they hadn’t been searching for dissidents, but for that piece of junk? Looking in the rough direction where he had seen the warship, Mathias noticed a patch of rocky, dusty land in the middle of the marshes. Careful not to get too close, he flew in that direction. The sight of flying brown spots stopped him dead in his tracks. Gearsmen. Mathias wondered about the situation, before finding a solution hidden in plain sight. Creating a disc of glass in front of his eyes, the sorcerer turned it into a giant lens. With a few attempts of trial and error, he managed to get a good view of the faraway area. Concordia had created an open mine in the middle of the Everglades, draining all water nearby and setting up giant, mechanized drills. Neither plants nor grass had survived the excavation, leaving only red dried earth and dust. Those, and pits. Who didn’t love Imperial pits, those bottomless open mines digging ever deeper, in search of one last drop of metal? From afar, it looked like a giant piece of cheese. He noticed a few elements different from most of Concordia’s open mines. First was the total absence of workers, be they bullmen, hobs, or humans. The area was entirely manned by Gearsmen and automated machines, while flying eye-drones patrolled the area. This barren, empty place epitomized the world Concordia fought for: life replaced with mechanized efficiency. The sight gave Mathias an insight into the Empire’s weakness, its blind reliance on its infrastructure rather than people. If something could disable their technology, the area would be left defenseless. Second, most of the holes had been left half-dug or empty, the drills redirected north of the excavation. A motorized, tank-like machine the size of an armored train led the digging effort, relentlessly assaulting a specific spot. Bingo, Mathias thought, his lens showing him that very spot, a small dome of blue light floating among dust and broken stones. Concordia’s machines struggled against the forcefield, unable to penetrate it. The sorcerer’s thoughts turned to tactics. The eyebots he could deal with. Glass Field could disable their cameras once in range. Getting in that range, however, meant facing Gearsmen, and Concordia would sound the alarm the second one automaton reported anything wrong. What could the enemy mobilize against an attack? Gearsmen, both those in the open mine and around the region. Once the alarm sounded, reinforcements could arrive in less than half an hour. No matter how he turned the thoughts in his head, Mathias didn’t see any way to avoid a battle and collateral damage. The automated systems made discreet infiltration impossible. The sorcerer doubted authorities would bomb the place from afar with the artifact nearby, or only as a last resort. His team could hold a siege for a time. The Network flash took Mathias aback, jolting him out of his observations. He looked around him, in case he had been detected, and found no one. Could it be? He focused back on the strange machine, a dark blue sphere covered by thousands of tiny black plates. With the second flash inserting itself in his thoughts, Mathias came to a sudden realization. Alive enough to communicate through Network. His smartphone buzzed in his backpack, interrupting his train of thought. Opening it and mentally lifting the phone in his hand, Mathias checked the caller. He was crying, Mathias realized. His father was crying on the other end. Damn, his eventual disappearance is going to absolutely break his Father. Great chapter, I can’t wait to see how this heist is going to go. Love Mathias’s dad poor guy is doing the best he can under absolutely awful circumstances and he knows his kid is going to get himself killed and wants to prevent it. Yeah, I thought it would be nice to explore the family side of main characters; usually they’re just there to be saved instead of worrying where their family member vanish every night without explanation.